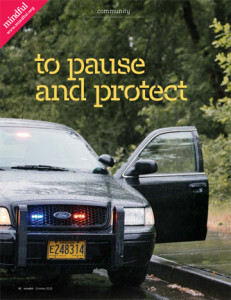 In a groundbreaking program, Oregon police officers are learning mindfulness techniques to deal with stress, be more focused on the job and connect more meaningfully with the people they serve. 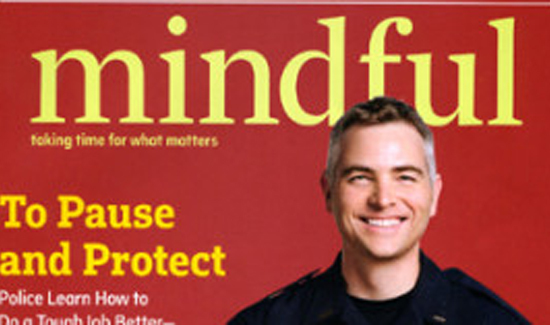 The unique program was the subject of an article in the magazine Mindful and was written by Pulitzer prize-winning Seattle Times reporter Maureen O’Hagan. “Basically, the department hit rock bottom,” says O’Hagan, pointing to an incident involving a veteran officer who faced off against the rest of the police force last January. It left the team shaken, and the current police chief dedicated to finding new approaches to supporting the men and women in the department.